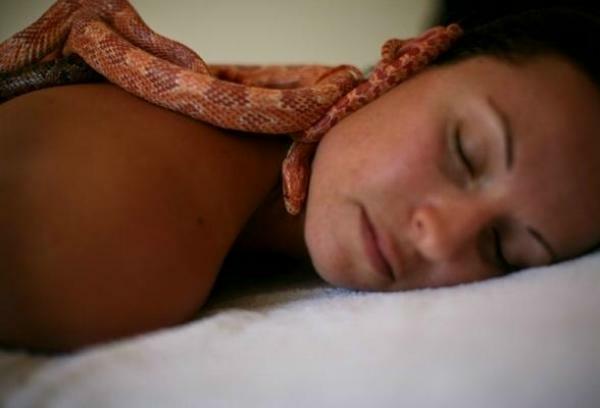 An Israeli health and beauty spa is offering a new service for its customers - a snake massage. 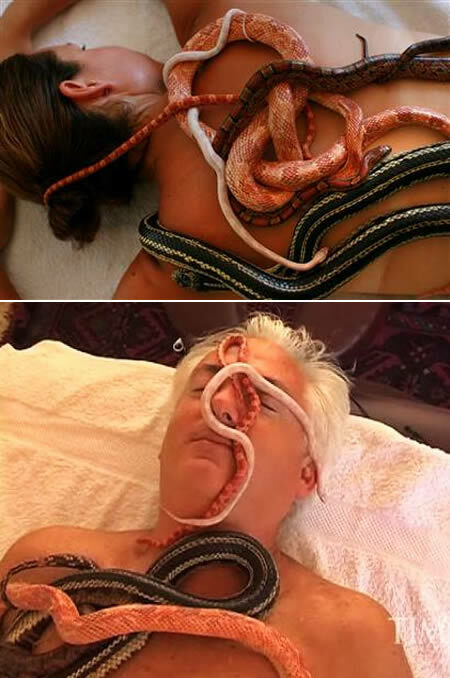 The treatment consists of six non-venomous snakes massaging the client's aching muscles and joints for $70. Clients at Ada Barak's spa in Norther Israel can experience the therapeutic effects of a pile of snakes slithering along their back. The big boys supposedly work tougher knots while smaller serpents deliver a lighter touch. The size of the snakes depends on the type of massage - the larger ones are said to alleviate deeper muscle tensions and the smaller ones create a 'fluttering' effect. All are the snakes used are non-venomous. The heavy king and corn snakes produce a relaxing kneading sensation. They give deep-tissue massages. Barak uses California and Florida King snakes, corn snakes and milk snakes in her treatments.